Della was 30 yr old teacher from Denver who finally decided to follow her life long dream of traveling around the world! 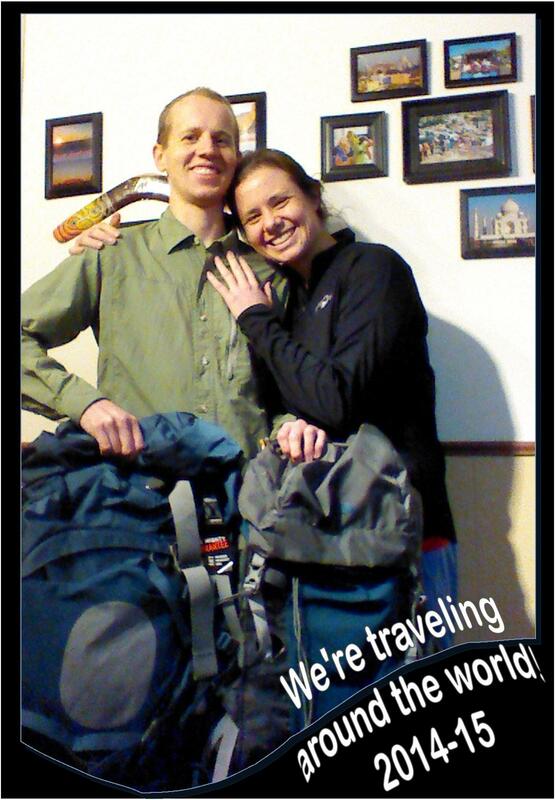 Eric was a 30 yr old software developer from Dallas who was looking forward to the adventure of a lifetime! We took leaves from our jobs and took a year to travel around the world. It was fantastic! Now, we’re back to our “real lives,” but still love to travel! Thanks Traci! So good to hear from you! =) We will definitely let you know if we make it to MA! Hope you are both well. I SO love what you guys are doing! It’s great to be able to follow your adventures. Thanks. Thanks! So glad to know that people are enjoying the blog!